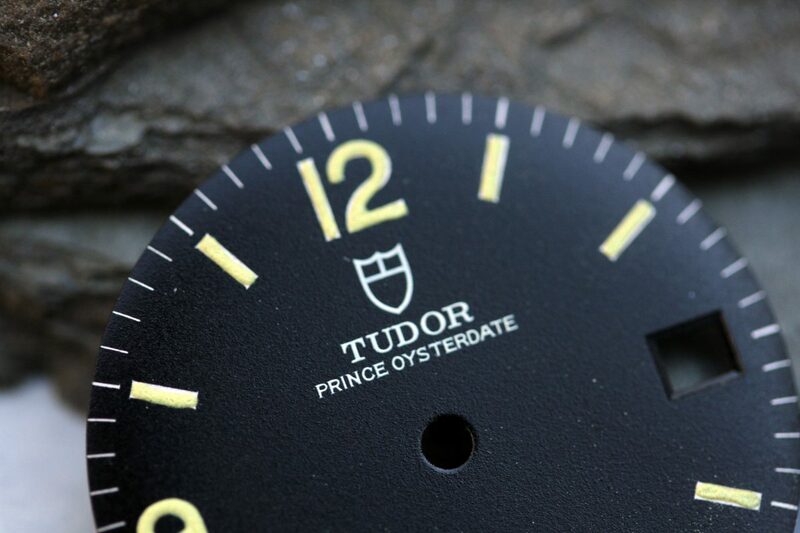 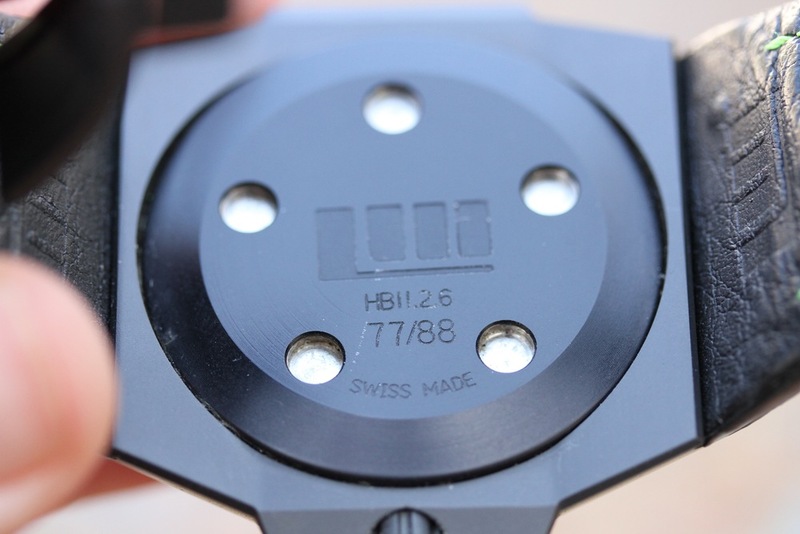 Excellent used condition watch without any major dings or dents. 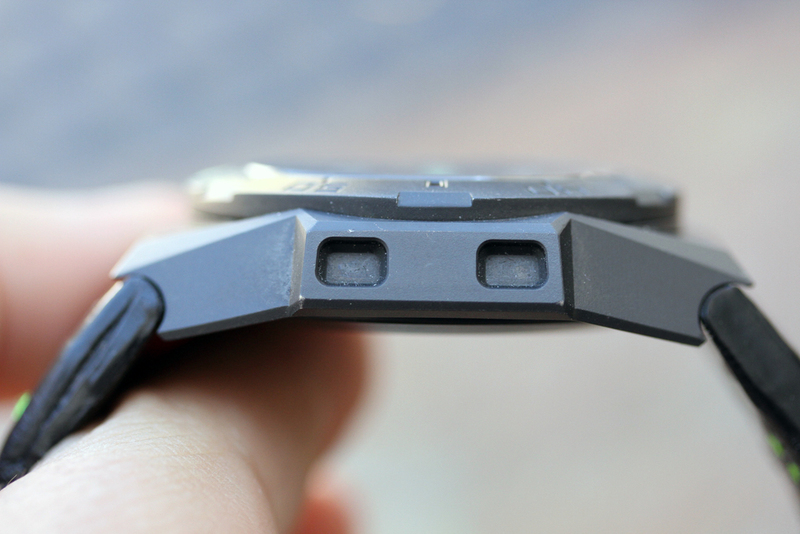 There is a small ding on edge of bezel between 30 and 35 markers. 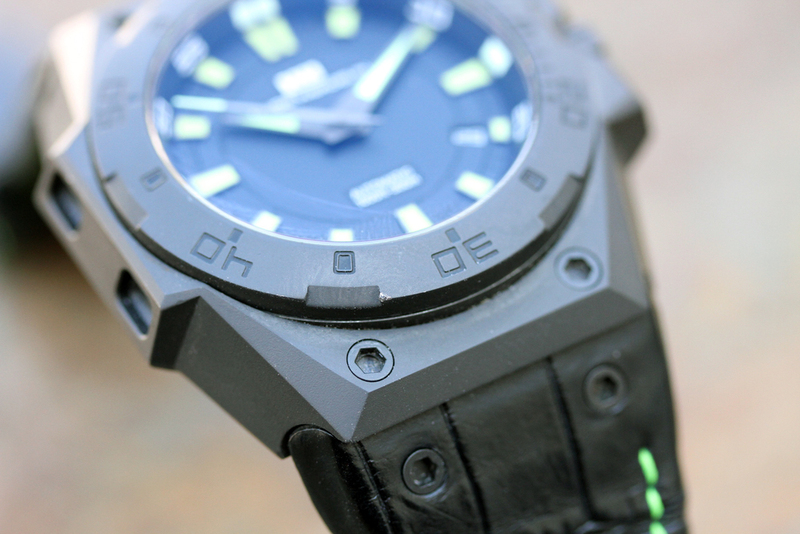 Practically invisible in person. 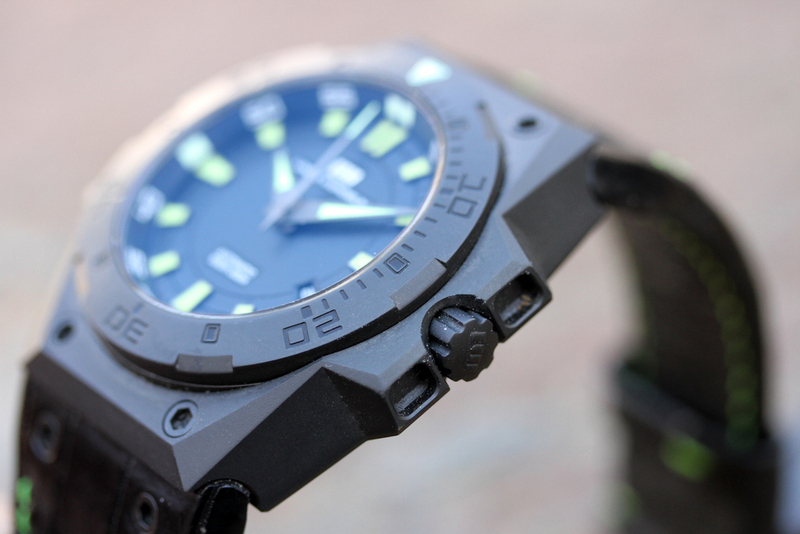 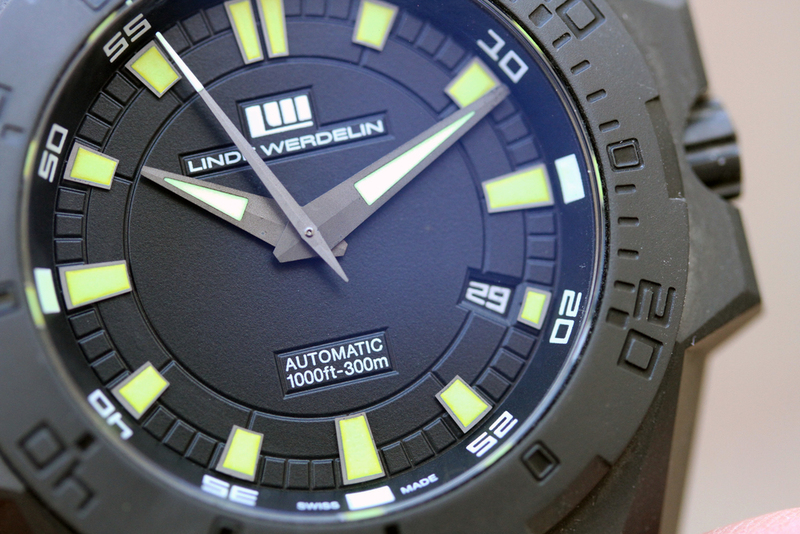 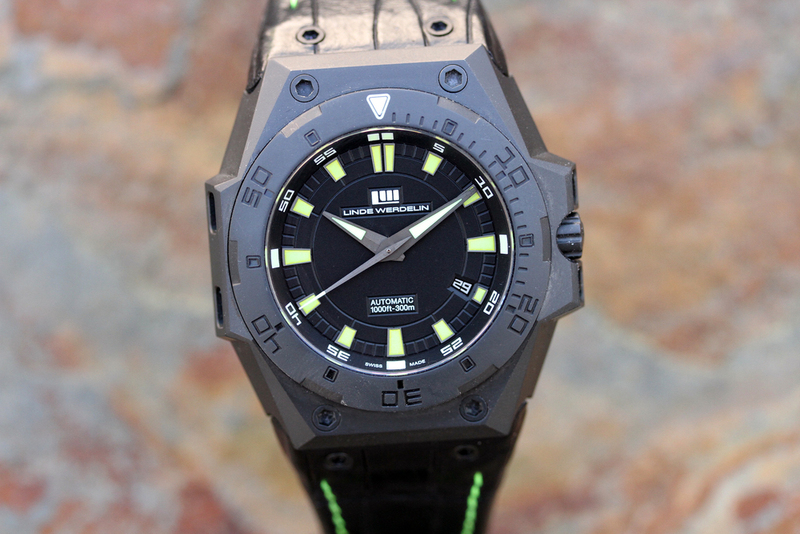 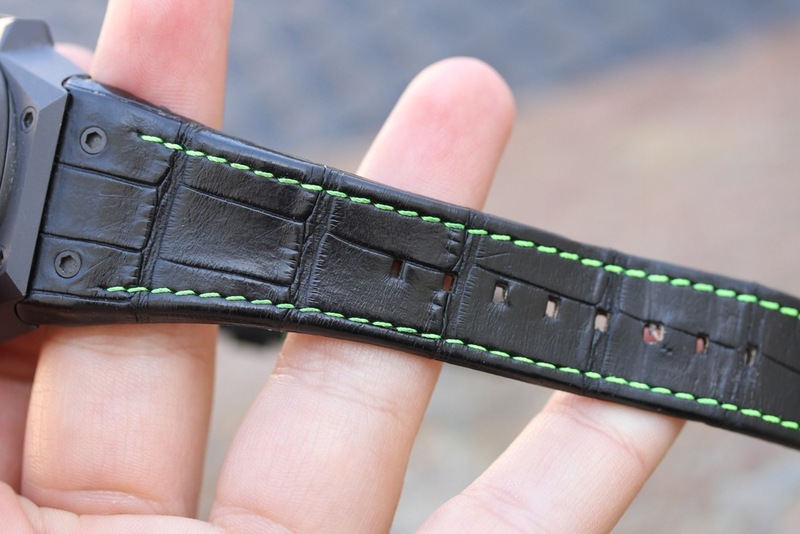 Watch comes on original black alligator with green LW strap with DLC Linde deployment buckle. 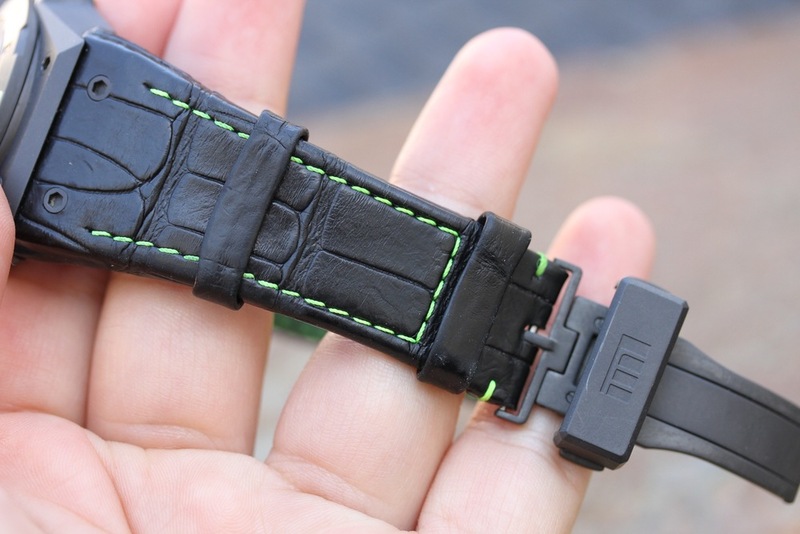 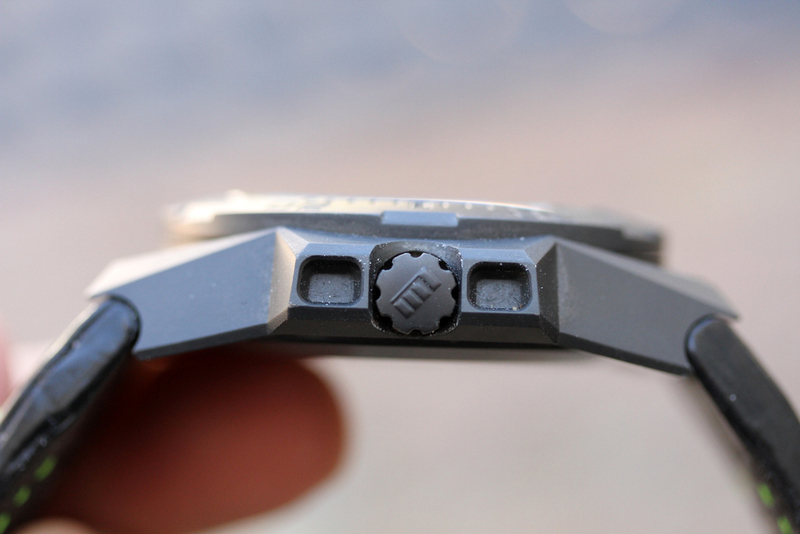 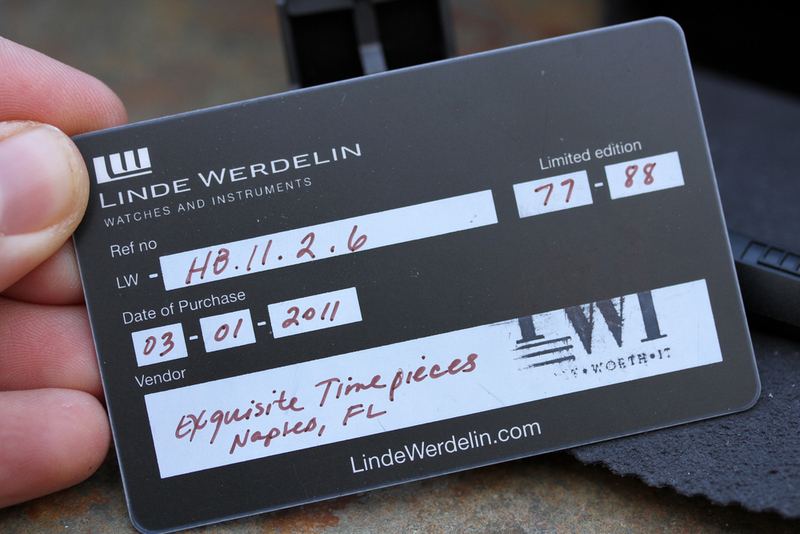 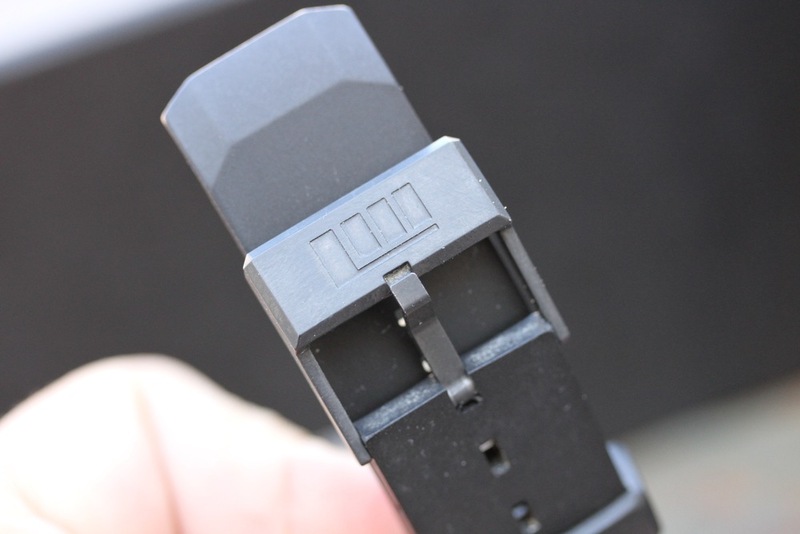 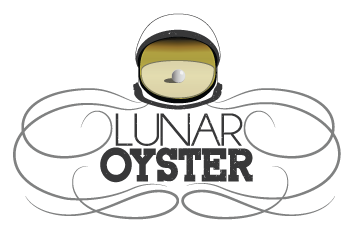 Also included is LW black rubber strap with original DLC coated tang buckle. 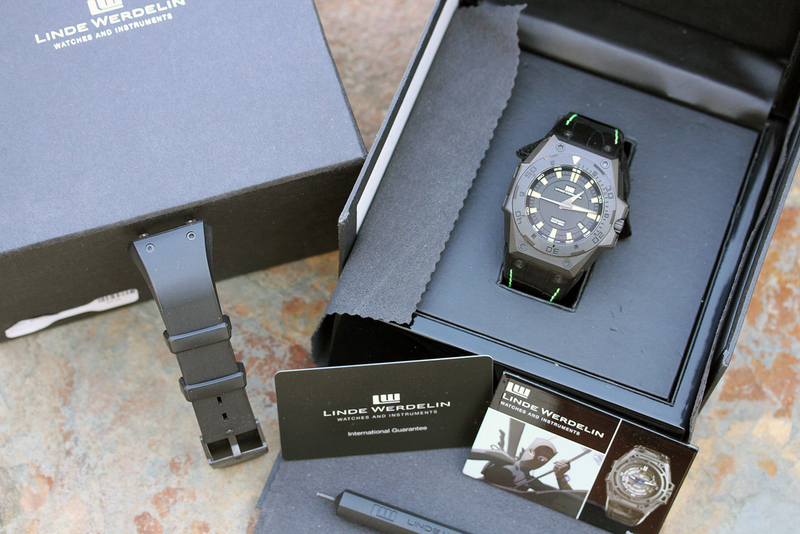 Watch comes with original boxes, warranty card, USB card, both straps, LW strap changing tool.